The Camaro is one of the iconic power-house cars that have been around for years, and is still a favorited car among hot-rod enthusiasts. It’s exciting to think that the 2016 Chevy Camaro release is just around the corner, and is sure to be the best one yet. Especially after the rough history of these cars, and the ups and downs in their performance. But before we jump into the new one, everything begins somewhere. So let’s go back to the first generation Camaro. Since the Camaro is prized and loved for its performance, I will mainly focus on the highest performance engines, or else this list could go on forever. The base first generation Camaro was driven by a three-speed manual transmission powered with a 230-cubic-inch straight six engine that put out a promising 140 horsepower. 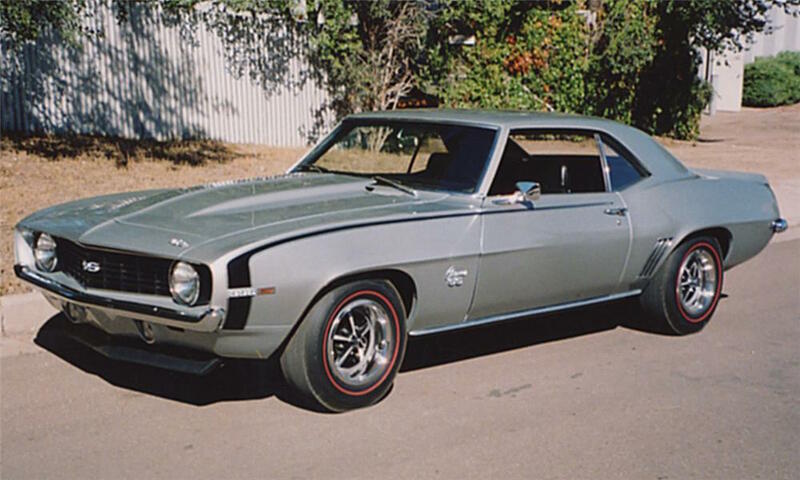 The SS model sported a V8 offered by Chevy that was rated at 295 horsepower, Chevy’s first 350 engine. Plenty of vroom-vroom for this old bird. There were two limited powerhouse Camaro’s produced this year under COPO (Central Office Production Orders) called the 9560 and 9561. The 9561 was the basic Camaro sport coupe with a 427 engine that turned out an earth-shaking 425 horsepower. The COPO 9560 was even rarer, and housed the legendary all-aluminum ZL-1 rated at 425 horsepower. There were only 69 of these built. 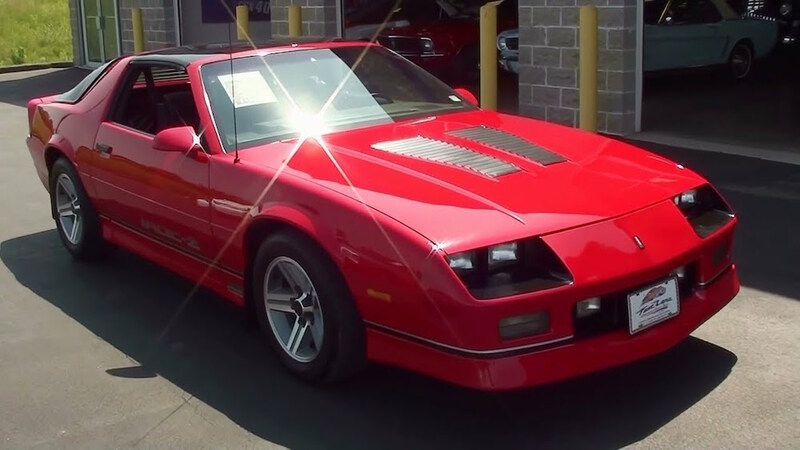 With the a tremendously powerful engine equipped to relatively low weight, these Z-L 1’s are considered to be the most valuable Camaros ever produced, for now. The first generation may have packed a punch, but the restricting emissions regulations and a fuel crisis would lead this second generation to lose out on performance. This is a painful generation to talk about. The LT-1’s glory days were limited to a sad 365. Just warning you, talking about this generation is equivalent to ripping off a Band-Aid slowly; the pain gets worse the longer this drags on. In 1972, Camaro’s horses continued to be degenerate back into ponies, the LT-1 now only faintly pushing out 255 horsepower, and the big-block engine barely scraping by with 240 horsepower. By the time 1973 rolled around, things were just getting sad. The big block 402 engine was no longer an option, and the base straight six was producing a cry-worthy 100 horsepower. No changes were made to the engines in 1974, which was surprisingly a good thing at this point. At this point, there were only 3 engines available in 1975. The Z/28 model was gone, and in its wake left the 250 six rated at 105 horsepower, a two-barrel 350 V8 giving us another 145 “pony brigade” power, and a four-barrel version of the same engine rated at a meager 155 horsepower. But it’s okay, because it got a new rear window and a new “Rally Sport” package that consisted of two-tone paint and some tape stripes… Yay. The two-barrel aforementioned was given a mercy killing in 1976, and was succeeded by an even dinkier version producing only 140 horsepower. The four-barrel gained 10 more horsepower, making it still just about as weak as before. The Z/28 returned as its own model, with an awful 170 horsepower provided by the 350 four-barrel V8 that was also in other Camaro models. In 1978, the 350 V8 was putting out 180 horsepower. Better, but short lived. Because in 1979 the same engine dropped back down to 175 horsepower. Becoming a truly disappointing, withered former husk of its V8 predecessor in the first generation. In 1980 and 1981 the fuel crisis caused even more issues for the performance of these Camaros. After a whirlwind of confusing ups and downs for performance, all that was left by 1981 was a new 229 small-block V6 that only put out 115 horsepower, and the 350 V8 only giving up 155 horsepower in California and 190 in the rest of the states. This horrific decline in performance finally ended in 1981, and the third generation would be the starting point for restoring the Camaro to its former glory. Lasting for 10 years until 1992, the third generation of Camaro was looking a little better. They were the first to be outfitted with factory fuel injection, four-speed automatic transmissions, five-speed manual transmissions, and four-cylinder engines. After those horror years, let’s jump to the biggest positive moment in the third generation of Camaro. This was the year big engines returned to the Camaro, the long-lost and greatly missed 350 5.7-liter V8 was back in a newer performance oriented model. The new TPI (Tuned Port Injection) system was also in place, revamping this engine with 225 horsepower. Finally, some power! Not much else changed for this generation as far as performance, seeing the TPI was such a big breakthrough. The TPI 5.7-liter V8 got another power boost in 1991. It was now rated at 245 horsepower, back to where a Camaro should be. 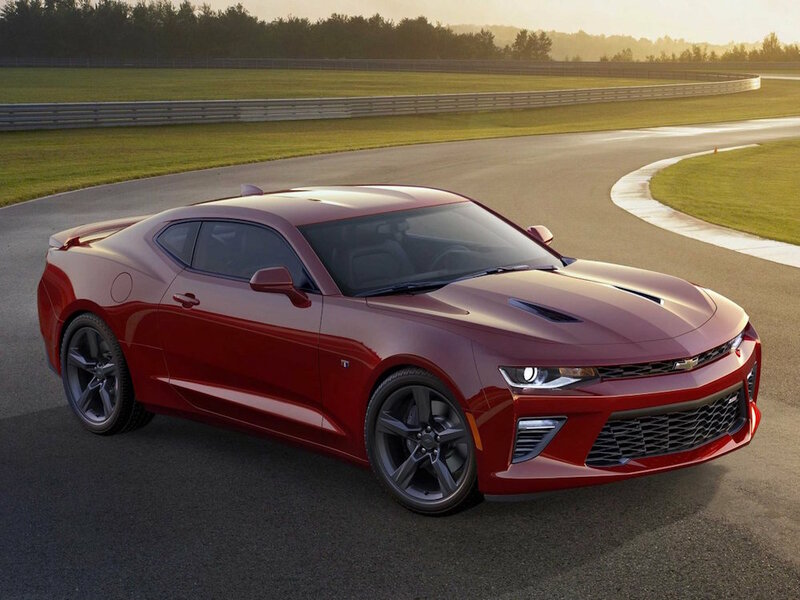 The start of the fourth generation saw 2 Camaro models, the base sport coupe and the Z28 decided to return, again. The coupe had a 3.5-liter V6 that put out 160 horsepower, and the Z28 had the Corvette’s 5.7-liter LT1 small-block V8 at 275 horsepower. The V8 steadily climbing back up the horsepower tree is a pleasant change; as opposed to hitting every branch on the way down during its fall. 1998 saw the introduction of a new all-aluminum small-block LS-1 V8 engine. This engine took up residence in the Z28. 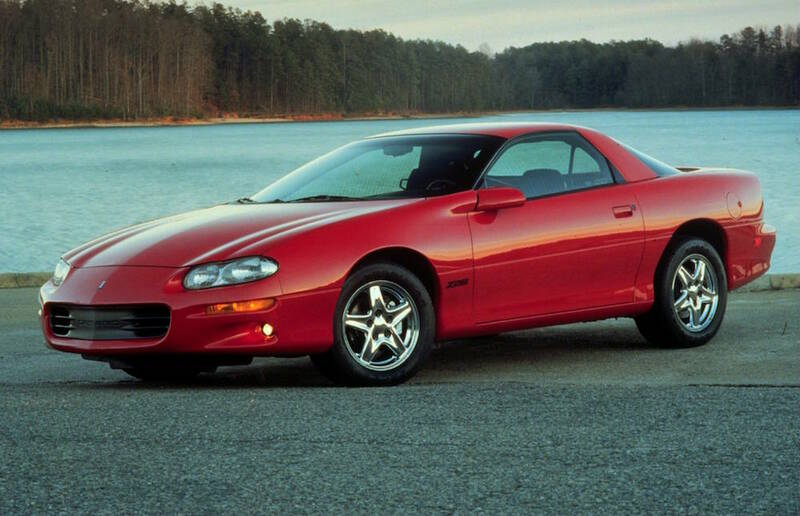 It was the C5 Corvette’s new-age engine, and it was the first aluminum engine offered in a Camaro since 1969. When GM took over production of the SS itself, the 5.7-liter LS-1 V8 was put in it as well. The ram-air induction system in the SS boosting the enhanced V8 to 320 horsepower. This was, unfortunately, the last major change for performance in the third generation. In 2002, Chevy would cease production of the Camaro until its return in 2010, marking the start of the fifth generation. The entry level Camaro is stronger than most of its predecessors, save a few of the V8 models. Our present generation Camaro is coupled with a 3.6-liter V6 and able to do 0-60 in 6.0 seconds and a quarter mile in 14.2 seconds, faster than some older SS models. Speaking of, even more impressive is the legendary SS. The 2015 SS is equipped with a 6.2-liter V8 that has either 426 horsepower (six-speed manual) or 400 horsepower (six-speed automatic). This bad boy is able to do 0-60 mph in 5 seconds, and rips down the quarter-mile in only 13 seconds flat. There is a 2016 SS on the horizon as well, that has a small-block 6.2-liter LT-1 V8 beast that sends this latest SS model careening down the road with 455 horsepower. This new Camaro would even leave the rarest and most prized Camaro, the COPO 9561 with a 425 horsepower engine, in the dust. The first SS-350 in 1967 was able to complete the quarter mile in 15.8 seconds at 89 mph, an impressive hot-rod of its time that will look like a Hot-Wheels version of itself when the newer SS is released.